We are announcing the successful release of the renovation of the façade of the Cecil Hotel in downtown Los Angeles. It was a challenge to remove the facade of the building’s street level and replace it with a design that fit with the remaining classical elements of the hotel. I endeavored to give the façade a style that looked as if it had been built that way originally yet was actually a step up in quality and finishes. 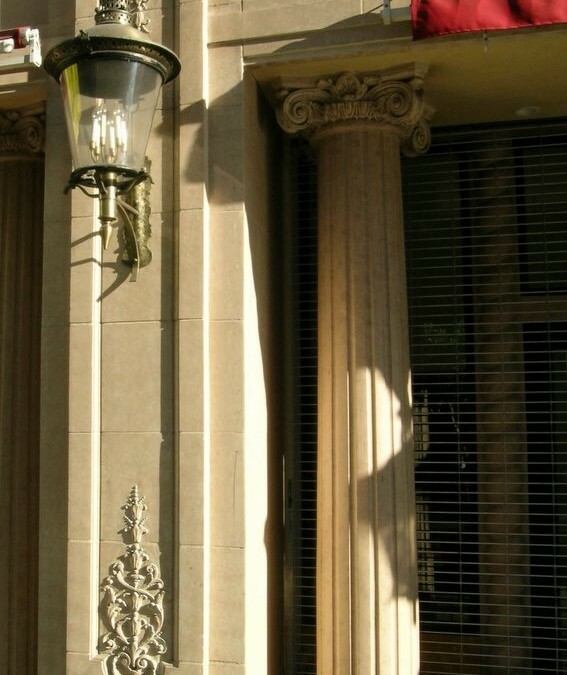 My research background in classical architecture helped me contribute elements that seem natural for a structure of the 1920’s, yet these forms relate to our modern necessities for visibility and security.